Cattle on a dry paddock in the drought-hit area of Quirindi in New South Wales. As the drought deepens, thirsty emus are flocking to the Australian outback mining town of Broken Hill in New South Wales. 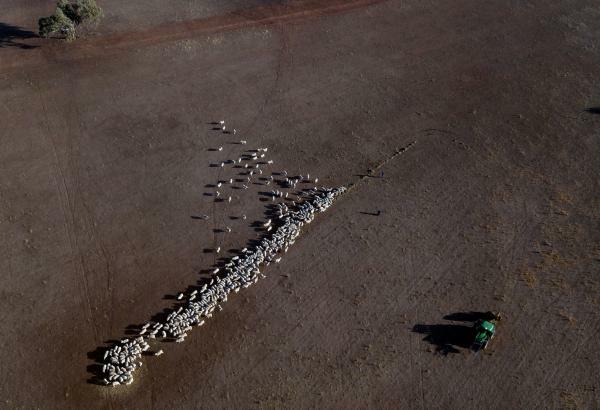 A crippling drought is ravaging parts of Australia, decimating herds and putting desperate farmers under intense financial and emotional strain, with little relief in sight. The entirety of Australia's most populous state, New South Wales, is suffering from a crippling drought that is the most severe in recent memory. The tough conditions are drying up huge swathes of land, leaving farmers struggling to feed their livestock and water their crops. It's also exacerbating bushfires in the state. 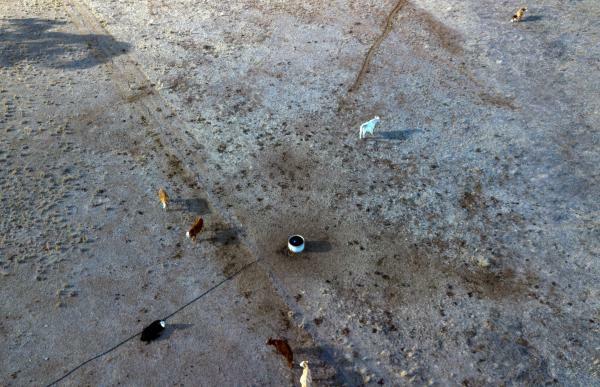 One mining town in the outback, Broken Hill, is even reporting crowds of emus arriving into town searching for water and food. 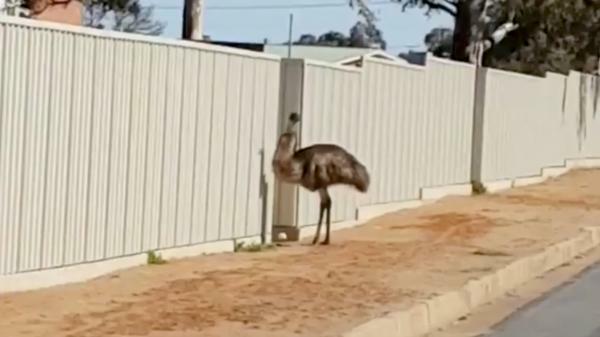 The birds, which are flightless and can grow more than 6 feet tall, have been spotted "running laps of the main street, eating gardens and gate crashing football matches," according to Australia's ABC. The government has approved an expanded aid package to farmers as their situation grows increasingly dire. On Sunday, Prime Minister Malcolm Turnbull announced the $1.8 billion Australian ($1.32 billion in U.S. dollars) package in direct assistance and concessional loans to impacted farmers, expanding its existing pledge. That funding will go to infrastructure projects such as an emergency water supply. The government had already approved $139 million in U.S. dollars for "lump sum payments for farming families to pay household bills," according to Turnbull's office. "The Government stands shoulder to shoulder with our farmers, to ensure they can survive the severe and widespread drought that has affected so many," Turnbull said in a statement. Farmers have been clear about the difficulty of their situation. "It's gotten to the point where it's cheaper to shoot your cows than it is to feed them," New South Wales dairy farmer Jason Maloney told the BBC earlier this month. "No-one likes doing that. You've bred them from birth - they've been part of your life. But it gets to a point of no return." Another farmer told the BBC that he paid some $3,000 for a truckload of hay that fed his animals for less than a day. The drought has resulted in "very poor" field conditions over large parts of New South Wales, according to the NSW government: "There are very low levels of soil moisture, poor pasture and crop production and in some areas total grazing pressure is providing additional stress." Aerial photographs show farmers and livestock in vast swathes of dry, brown lands with little plant life. "This is tough, there isn't a person in the state that isn't hoping to see some rain for our farmers and regional communities," NSW Primary Industries Minister Niall Blair told ABC earlier this month. "Producers are now faced with some very difficult decisions on whether to graze sown crops or rely on potential rainfall in the next two months in order to increase yield production." Some areas of the state have been facing drought conditions since October 2017, the government says. Twenty-one percent of the state's area is classified as in "intense drought." Large parts of nearby Queensland are also suffering from drought conditions. While this is one of the worst on record, New South Wales residents have seen crippling droughts before. The government said "drought has been a constant and inevitable feature of the NSW landscape." The area was hit by the "millennium drought" started in late 1997 and lasted until 2010. New South Wales also encompasses Sydney, which is the state's capital and one of Australia's largest cities. The dry conditions were exacerbated by extremely minimal rainfall last month – the New South Wales government said "only 0-10mm were recorded in the Western, North West and Central areas of the state." The dry conditions are historic. According to Reuters, "it was the driest January-to-July period in New South Wales since 1965 and marked seven consecutive months of below-average rainfall for the state." Some forecasts predict possible rainfall later this week in the state, The Sydney Morning Herald reports, raising the hopes of farmers. But according to government predictions, the worst case scenario is also the most likely in the coming months – official forecasts are highlighting "an increased probability of the warm and dry conditions continuing." There's also a 50 percent chance of an El Niño in the next few months, the NSW government says, and "El Niño conditions are associated with below average rainfall in south eastern Australia."